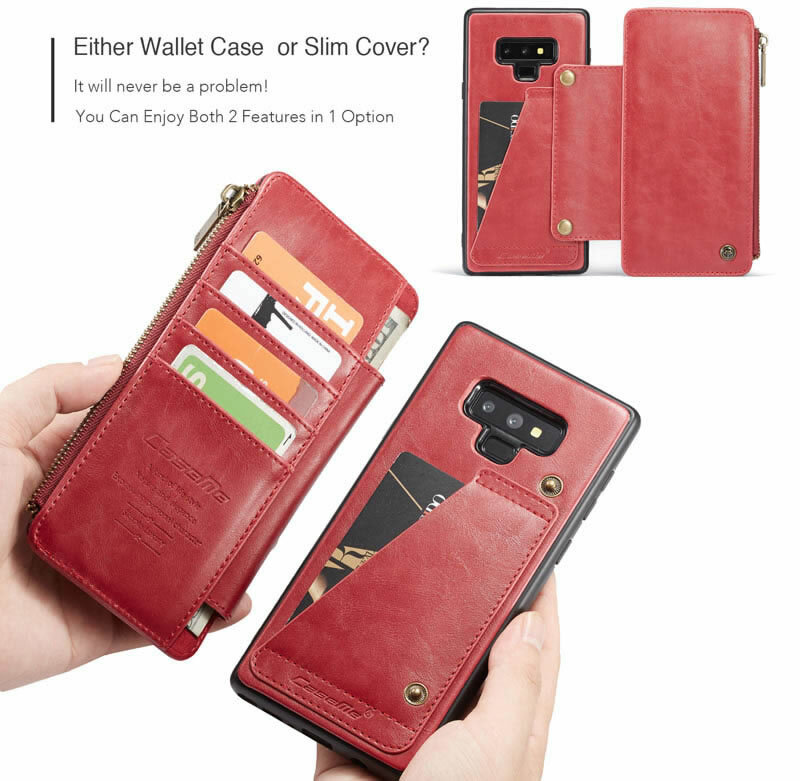 Free Shipping, Buy Genuine CaseMe Samsung Galaxy Note 9 Detachable 2 in 1 Zipper Leather Wallet Case at the lowest price from Casemecase.com. 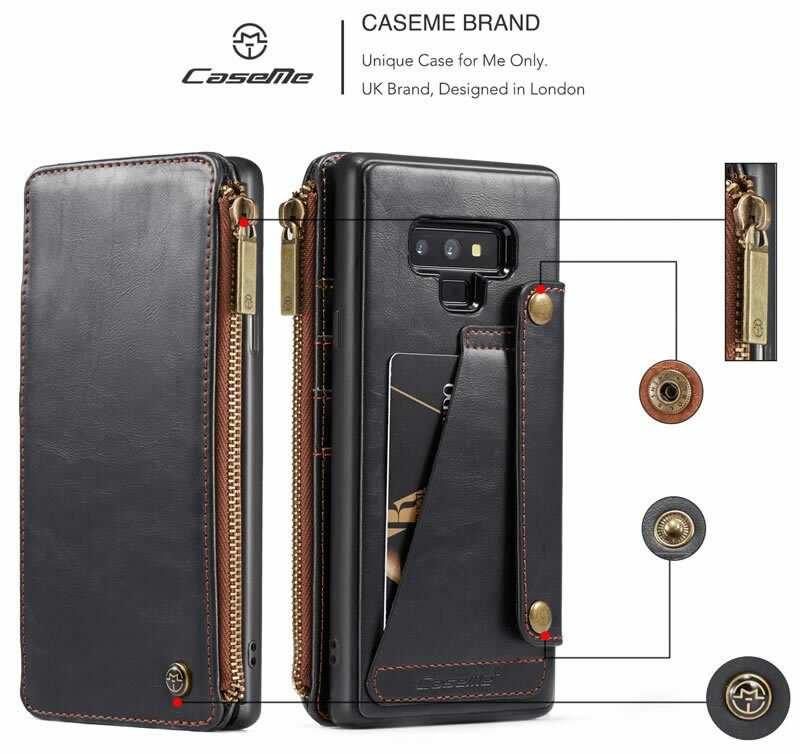 CaseMe: Unique Case for me only. UK Brand, Designed in London. 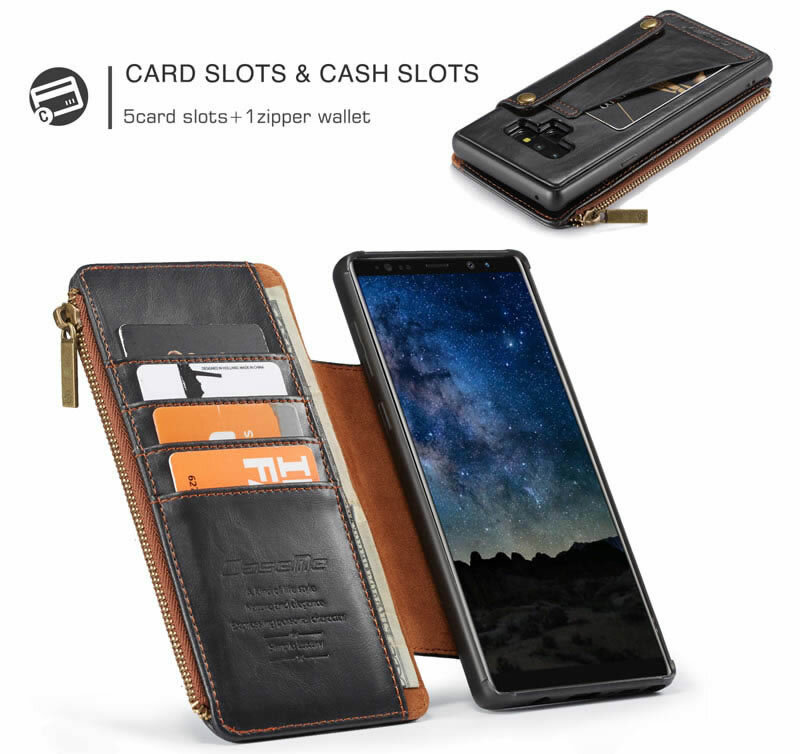 Wallet Case has 5 Card Slots, 1 Cash Slots and 1 zipper wallet to hold your cash, ID and credit cards. Detachable Slim Cover United with Wallet, It can enjoy both versatile functions and slim use experience. 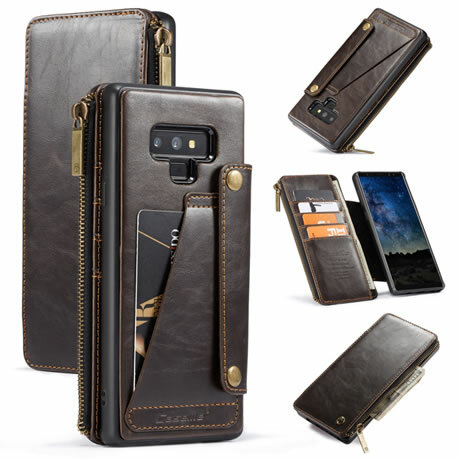 The unique design combination enables it to completely protect your mobile phone. You needn’d worry about losing any card! 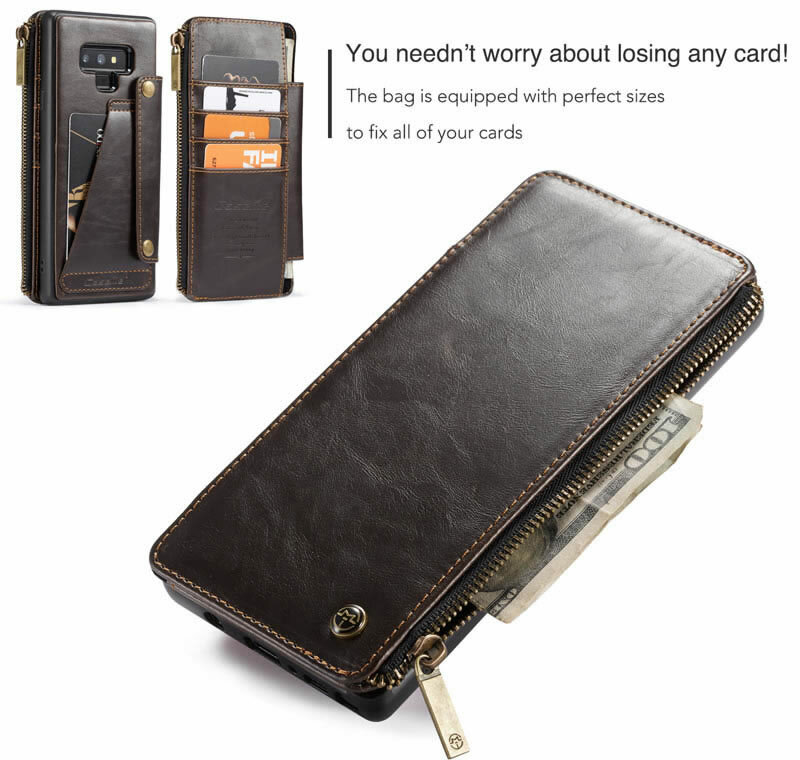 The bag is equipped with perfect sizes to fix all of your cards. 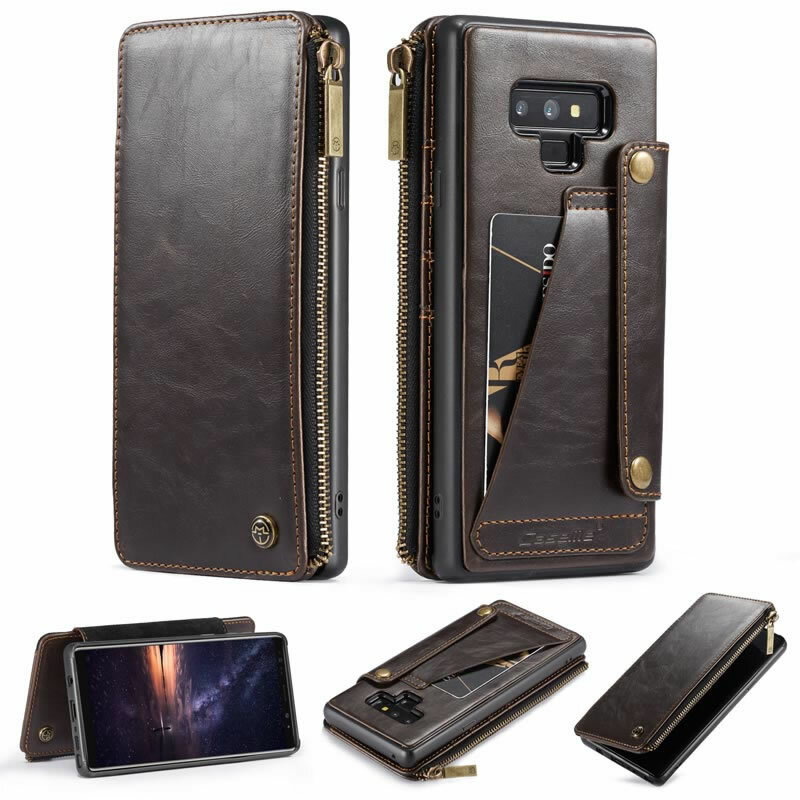 Using high quality PU leather and enhanced sew technology,rigorous processing makes the details very excellent, give you high quality User’s experience.